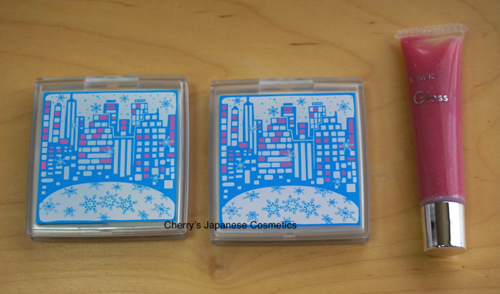 Let me share with you my personal review of RMK Christmas Makeup kit 2014 B. As we had mentioned, we can not ship its nail polish, because of the postal regulations. So, what we can ship are Blush, Eyeshadow, and Gloss. Let me share with you them on my arm. The foundation is Albion Excia AL MOIST EMULSION COMPACT VX #NA211. Hmm, on my arm color, its color is not beautiful :(( But there are less glitters as I had thought. I thought the choice of colors are not fixing to my color. I was grabbed by the left above color. This bluish violet is beautiful. Violet color?? OH PINK!!! 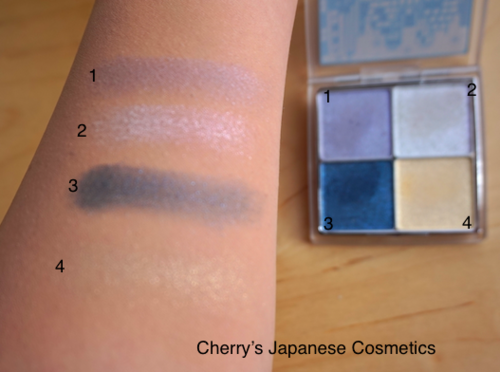 I chose SUQQU Blend Color Eyeshadow #EX-22 Yukiichigo from this years makeup kit A.
I had thought left side is my nose. I am satisfied. 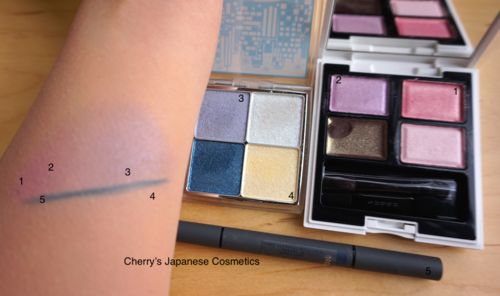 I am changing eyeliners, this blue, and other burgundy/ brown/ black. 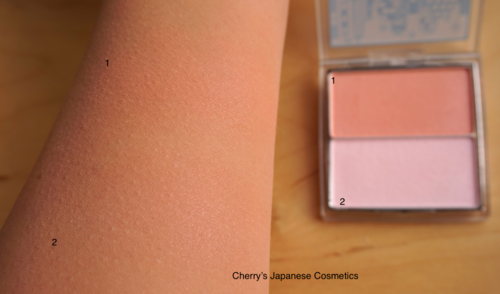 This blush is also beautiful. The color is not strong. Just making my face naturally lively. I am mixing those two colors. The center is above, and the bottom is side to make naturally elegant. There are less color on the gloss as the tube. But there are glitters. Hmm. 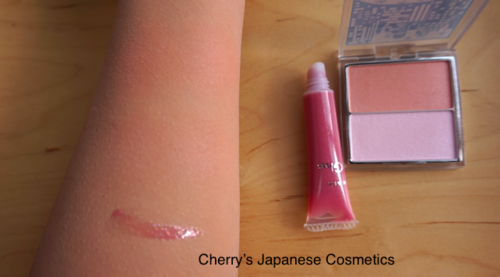 If you have matte lips, and when you tired to use matte type, add this gloss. It will make your lips glow. I was shocked my lips were peeled by AQMW gloss, but in this gloss, there were no problem. Good! Sorry, this product is already sold out. If you wanna have those limited kits, please visit that page often: Limited & seasonal.